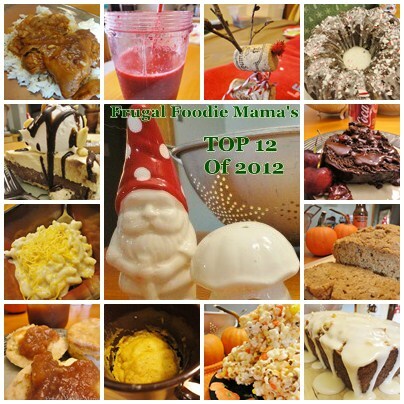 Did you see your favorite Frugal Foodie Mama post in the 12 above? What kinds of posts and recipes would you like to see more of from me in the New Year? wow! these all look amazing! :) thanks for sharing a recap! How did I miss the Rudolf Wine Ornament!? Definitely Pinning for next year!! Loving your top 12 of 2012, Carrie! I am planning on doing something like this for a Monday post! :) Thanks for sharing these great recipes and the cute ornament! I love this!! Thanks for sharing and helping us all catch up! MMMMMM Yummo! What an amazing chef you are!